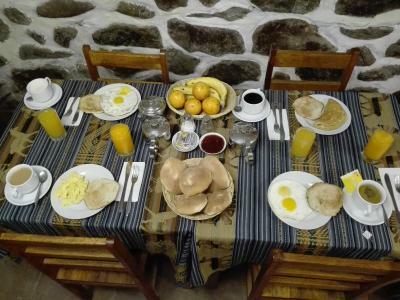 Lock in a great price for B&B Chayana Wasi – rated 9.2 by recent guests! The breakfast was great. Host was so nice and accommodating. Excellent hosts and great breakfast. Good location and clean room. Wifi speed also fast. Very friendly and caring staff (owner I guess). He knocked on the door to make sure we are up and won’t miss train to Machu Picchu, made breakfast boxes for us to go and offered wonderful strong coffee! Highly recommended! We also had hot shower and very warm blankets! Warm and excellent hosts, wonderful location. Wish we could have stayed longer. We will have great memories of the hosts . 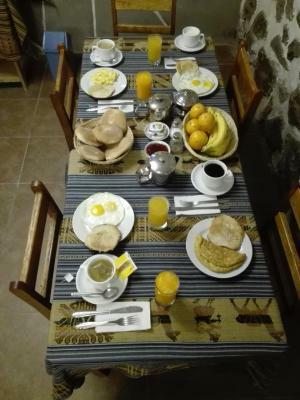 Staff very accommodating, gave boxed breakfast as I was leaving at 4.30am for Machu Picchu. Decent coffee. Good hot shower. 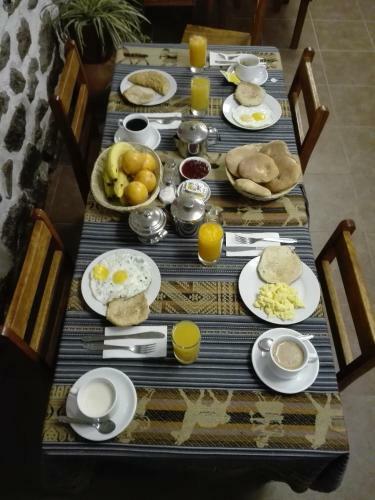 Bed & Breakfast at it's best - Super cozy place, Views from the top terrace are amazing; Owners are very sweet and welcoming; They'll try to accommodate any of your requests - late check out - no problem; storing bags for few days - no problem, etc. Excellent location, a little away from the main plaza so it was very quiet. The owners held our bags while we visited Machu Pichu. The breakfast was standard but good. The room was very comfortable, not too cold, and clean. One of the better hostels of our visit. 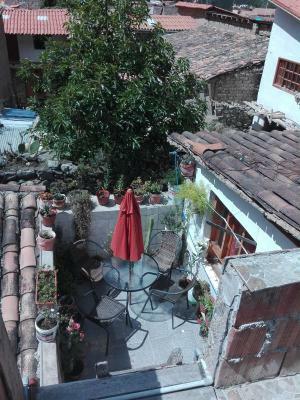 Nice budget property with extremely friendly hosts, Javier and Milagros. Cozy room, nice common area. I came down with a stomach bug and the hosts were very helpful by boiling some simple food. 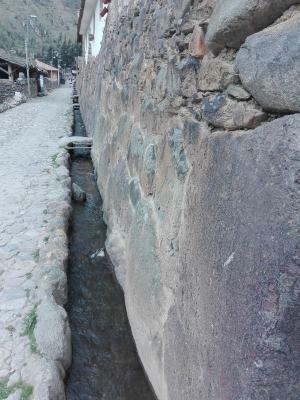 Great location in the heart of old Ollantaytambo. Location is excellent. Just a few streets from the main square. The shower is great - it has good pressure and is always hot. The bed is ok but as everywhere in Peru, it is just slightly too small for 2 people (double bed not queen). Breakfast is good. Would recommend this place. It was a lovely place to stay in. Love the location...not too close to centre but close enough :) Staff was professional, warm, and very helpful. 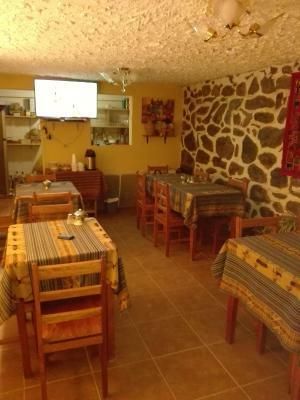 Hostal Chayana Wasi is located in Ollantaytambo, 350 feet from the main square and 100 feet from Pincuyuna mountain. Free Wi-Fi access is available. 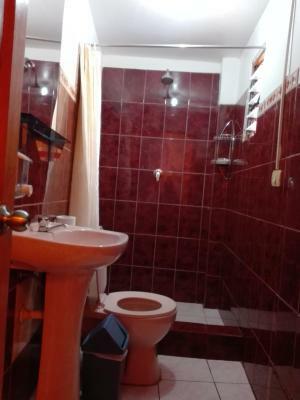 Te double and twin rooms have a private bathroom, other rooms have shared bathrooms. 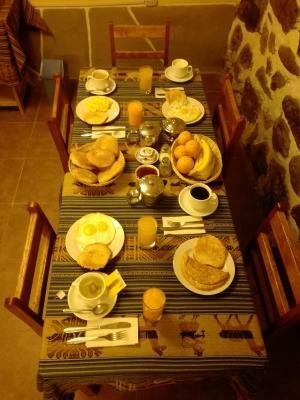 At Hostal Chayana Wasi you will find a 24-hour front desk. Other facilities offered include luggage storage services and room service. 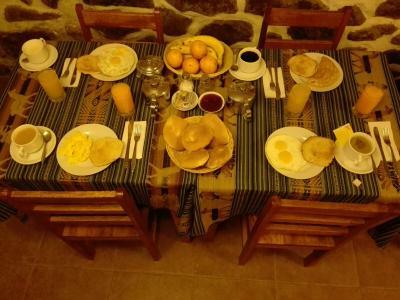 The property is 1,950 feet from Ollantaytambo Train Station. 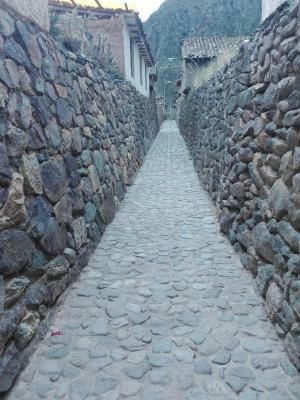 This property also has one of the top-rated locations in Ollantaytambo! Guests are happier about it compared to other properties in the area. 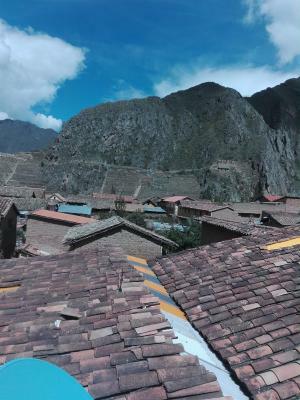 This property is also rated for the best value in Ollantaytambo! Guests are getting more for their money when compared to other properties in this city. When would you like to stay at B&B Chayana Wasi? 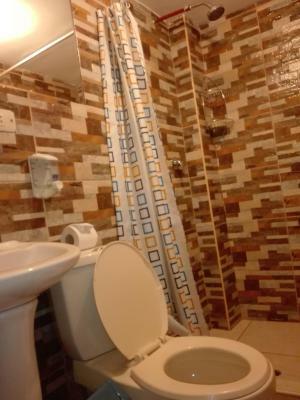 This room features a private bathroom, bed linen and towels. Family room fitted with a private bathroom, bed linen and towels. House Rules B&B Chayana Wasi takes special requests – add in the next step! 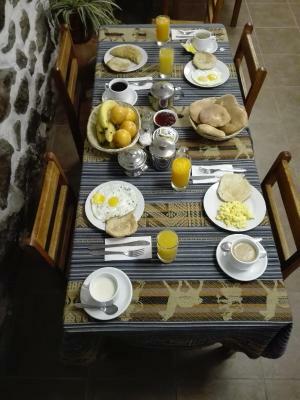 One adult is charged USD 10 per person per night in an extra bed. B&amp;B Chayana Wasi accepts these cards and reserves the right to temporarily hold an amount prior to arrival. Please inform B&B Chayana Wasi of your expected arrival time in advance. You can use the Special Requests box when booking, or contact the property directly using the contact details in your confirmation. The shower took a while to get hot. 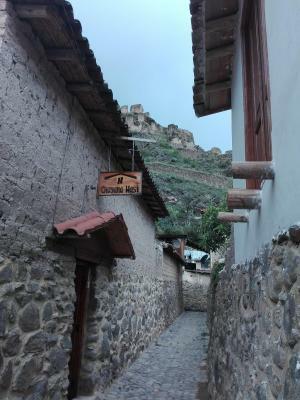 It is difficult to explain just how wonderful our stay was at Hostal Chayana Wasi in Ollantaytambo. The owners of the hostel, Señor Javier and Señora Milagros, are some of the kindest people I’ve ever met. Ever. They were attentive and were already expecting us by name when we arrived. Our room was sparkling clean and everything was orderly, our shower had tons of hot water. The hostel has a great common area and is nicely decorated. It is a quick walk from the plaza mayor. The following morning when we went to Machu Picchu, Javier and Milagros had hand packed a great brown bag breakfast for us to take with us on the train due to our early departure. They were up early every day we stayed and were ready to serve us. When we checked out, Javier carried one of our large suitcases on his shoulders, all the way to the market where we caught a colectivo, so we didn’t have to drag it on the cobblestone streets. This was just the beginning. At some point while I was packing my bags, I had lost my cell phone. When we got to our next stop and I connected to wifi (after having tossed everything out of all of our baggage multiple times looking for my phone), I already had multiple messages from Javier and Milagros that they had found my phone while cleaning the room after checkout. They had even submitted a claim to the booking website we had used with their direct phone numbers. I rode the colectivo all the way back to Ollantaytambo to get my phone and found out from talking to them that the moment they had found it, they had ridden all the way down to Urubamba to the colectivo terminal with my phone to try to intercept us. 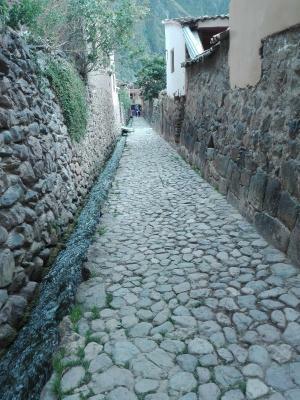 Then they had called all around to the tourist hotels in Cusco to try to find me by name. Even when I’d finally been able to get back ahold of them over email they asked where I was staying in Cusco and offered to deliver my phone to me (about an hour and a half by colectivo or bus). Incredible customer service. Incredible people. The room felt a bit cold. Super clean, in a nice quiet location, comfy bed and probably the best shower we've used in our two months in S America. Good breakfast. The owners were very nice and accommodating. They allowed us to keep our large suitcases there while we went to Machu Picchu. They packed us a great breakfast since out train left too early to dine in. The location is perfect. Just few minutes walk to the main plaza. The couple who owned the place is super friendly. We could not leave the town because of the strike and no car could pick us up. The owner let us stay at the room without charging extra (though we finally gave them some tips as a compliment). They are super helpful and suggested us where to kill time! We feel safe and comfortable staying in the room. Nice owners. Good and fresh breakfast: juice, coffee, Omelette. Good location. We liked everything. There was nothing to dislike. Good breakfast, hot shower, nice owners. The owner is very friendly and arranged our taxi to Cusco with several touristic stops in between. The b&b is very cozy and I loved the location.